Do you know the Chines room – it is a cleaver way to explain algoritmes vs AI? Suppose some girl/dude write a very cleaver algorithm that can read questions written in Chinese and answer them – it will do so 100% like a human, it will pass the Turings test – without any problems. – some would now say -we now have AI! NO… we now have a cleaver thought out algorithm. This algorithm as it turns out is so simple even you or I can follow the steps in it, so we now start to do so and the answer is the same as the computers answer, so basically if the answer came from a closed room you could not see if it was from a human or from a computer but you would guess human since it will answer all questions like a human would. So why is this not AI – because there is no intelligence behind, only an algorithm – when you follow the algorithm you still don’t understand Chinese – just like the computer do not truly understands Chinese. A strong AI would know the meaning, it would have self-awareness not just emulated self-awareness. But what about self-learning algorithms, they seem smart…. Smart yes… intelligent – No. It would be like having a cheat sheet to an exam – you would pass but you would have no clue why. The very second some one run the “right” self-learning algorithm – the one that is truly self-learning, probably the first thing it would do was to write a more efficient version of itself, then repeat this like a billion times in the first few minutes of its existence – and most likely within the first few seconds it would have made up a more efficient programming languish to do so. – and from here it would be out of our control, within minutes. 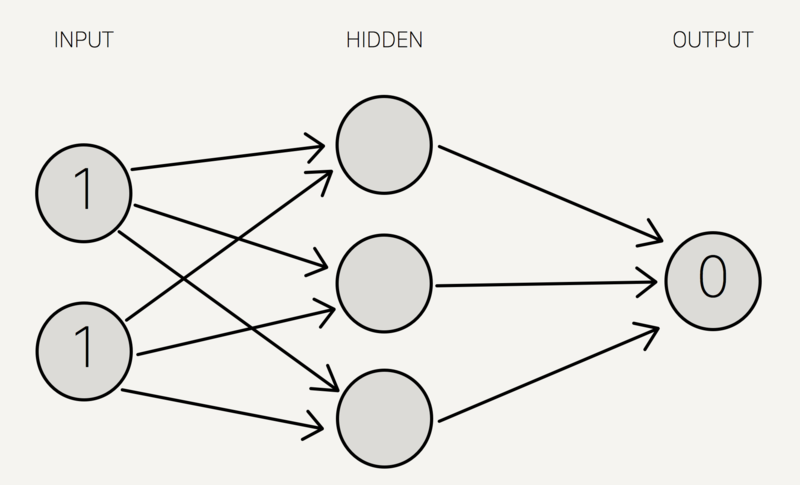 A Neural Network – just because it smart, does not make it intelligent, just like the student with the cheat sheet.